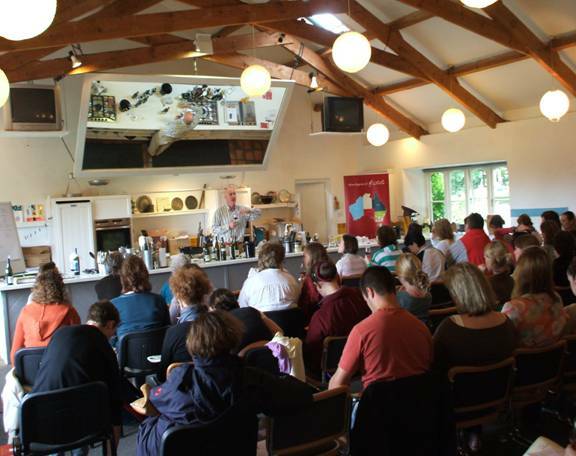 We would like to thank Gary Ring, Straffan Wines for arranging this visit. Alberto is also a wine consultant to other wine estates in Italy (in fact Jamie Olivier’s ‘Fifteen’ restaurant team go to Alberto’s family wine estate to learn about wine. Alberto also makes his own Olive Oil).Before Alberto set up his own wine consultancy, he was winemaker at some of Italy’s most famous winemaking estates, including Frescobaldi and Antorini. He is now also a renowned wine consultant of international standing, involved with winemaking and wine projects throughout the wine world, including Languedoc in the South of France, Argentina, Chile, Uruguay, California and Australia. 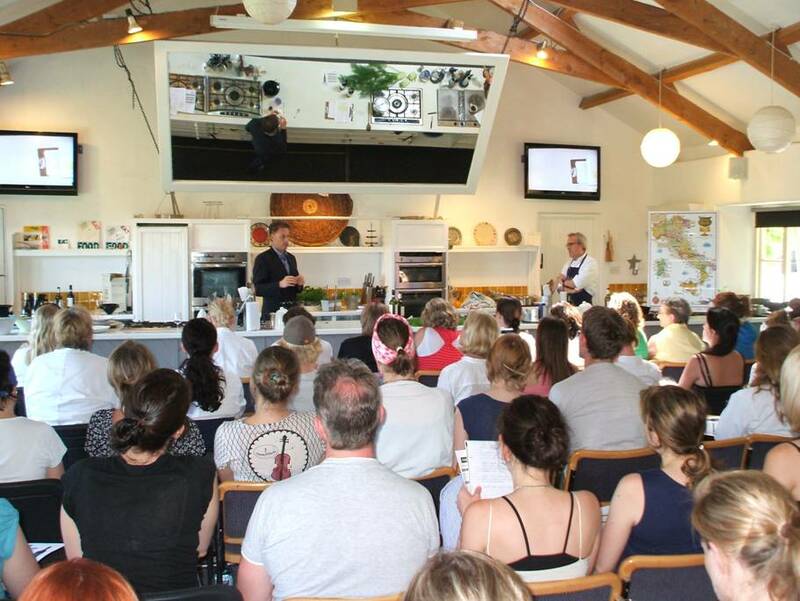 He gave a tutored wine presentation with a tasting of two wines he makes – a Toscana Bianco and a Chianti Superiore. 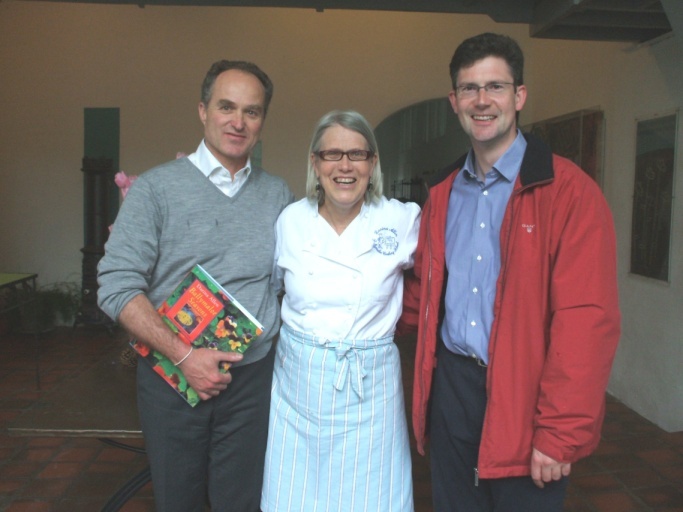 We were to delighted to welcome John McDonnell, Wine Australia, back to Ballymaloe Cookery School. John’s great wine presentation every 12-week cookery course is always very much enjoyed and appreciated by the students, as well as the interactive power-point tasting presentation, which was a huge hit. John very kindly presented each of the students with one for themselves. A tutored tasting by John led us through the various styles and regions of Australia, from sparkling rose, the latest white wine trends, comparative shiraz tasting and finishing with a sweet wine. A brilliant morning and our thanks to John. The Five Winemakers Weekend at Ballymaloe. The Five Winemakers Weekend at Ballymaloe. Siobhan Harnett, Cloudy Bay, Marlborough; Matt Steel, Domaine Chandon, Yarra Valley; Robert Mann, Cape Mentelle, Margaret River; Gustavo Sanchez, Terrazas de los Andes, Mendoza and Nicholas Audebert, Cheval des Andes, Mendoza (a joint venture between Chateau Cheval Blanc in Saint-Emilion, Bordeaux and Terrazas de los Andes, Mendoza). Ballymaloe House and Ballymaloe Cookery School in association with Moet Hennessy Estates and Wines were delighted recently to host the sole Irish stop of the Five Winemakers European Tour 2009. Over the weekend, the winemakers had wine workshops at the Ballymaloe Cookery School in association with Rory O’Connell (see www.rgoconnell.com), where a particular dish was created by Rory in the cookery demonstration at the school and a wine was matched with the dish, with the winemaker doing a tutored tasting of the wine. On Saturday evening at Ballymaloe House, the Five Winemakers Gala Dinner was held, again with another of the winemakers wines matched up with a special food and wine matching menu. At each course, the winemakers in turn spoke about their wines as they were served with each course. Rory O’Connell with Nicholas Audebert, Cheval des Andes, Mendoza; Matt Steel, Domaine Chandon, Yarra Valley;Siobhan Harnett, Cloudy Bay, Marlborough; Gustavo Sanchez, Terrazas de los Andes, Mendoza and Robert Mann, Cape Mentelle, Margaret River. Tindal Wine Merchants for arranging this visit and tasting. 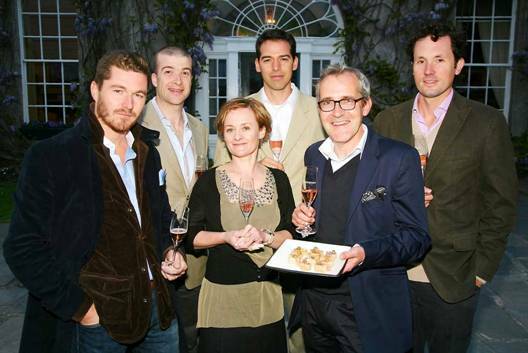 Moet Hennessy Five Winemakers Weekend on the 9th and 10th May. Pop over and visit her blog. Pascal gave a fascinating talk and tutored wine tasting on wines from Burgundy, and the up-and-coming region of The South-West of France. Pascal is originally from near Gevrey-Chambertin, Burgundy, and his experience takes him from the vineyards of his native Burgundy, to being a Sommelier, to running one of the best independent wine merchant business in Ireland for the past 10 years. The students really enjoyed Pascal’s presentation on Burgundy and the South-West of France. 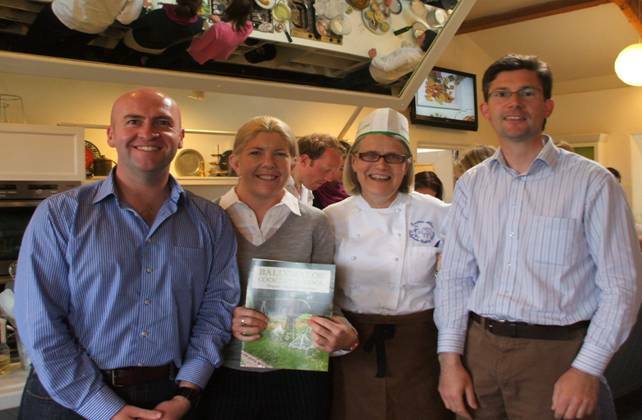 Le Caveau won the Bridgestone Guide Wine Merchant of the Year 2005, and in 2008, Le Caveau were awarded ‘Fine Wine Merchant of the Year 2008’ by The Sunday Business Post. 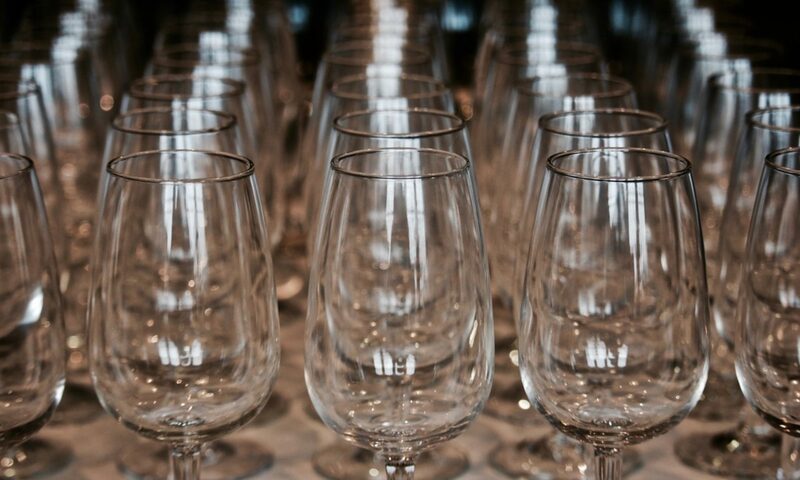 The Bridgestone Guide writes ‘The selection of wines M. Rossignol imports and his extensive connections with wine growers in France means that the wine company actually has pretty much all the wines your life needs. The shop is the most charming space in which to browse, service is superb and delivery is fleet. It would be hard to better Le Caveau. Update: Pascal has written a note about his visit to us here at the school. Read it here. Attend a series of seminars covering iconic wine and food pairings.Each session will be presented by Rory O’Connell (see www.rgoconnell.com ) in partnership with the winemaker. Taste the perfect combination of freshly prepared food with these wines. Learn how to prepare these perfect food pairings for yourself. Learn about these modern day Iconic wines, how they were made, followed by tutored tasting by the wine winemaker. Open to all, we look forward to welcoming you at some or all of these unique and once-off food and wine events over the weekend. Dinner, including wines €85. Workshops €25. 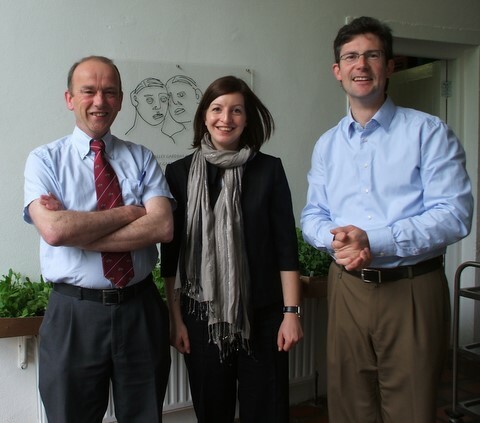 Daniel Brunier from Domaine du Vieux Telegraphe with Darina and Colm. We were delighted to welcome to the school on Thursday 23rd April 2009,Daniel Brunier, owner/winemaker of the famous Domaine Du Vieux Télégraphe,Chateauneuf-du-Pape, Rhone. Daniel gave a fascinating presentation andtasting, included the 2005 Vieux Télégraphe Chateauneuf-du-Pape. We wouldlike to thank Conor O’Brien of James Nicholson’s Wine merchants forarranging this visit.Vieux Télégraphe is one of the most renowned estates of the Southern Rhône. Vieux Télégraphe is a large estate and there are about 45 hectares of redgrapevines planted, with an average age of around 55 years. Blessed with oneof the finest locations in the area, the particularly hot microclimate issuch that the Bruniers, owners of the estate for almost a century, are ableto harvest as much as a week ahead of their neighbours. Vieux Télégraphe’sblend is a typical one, with Grenache accounting for around two thirds, therest being made up of Syrah and Mourvèdre in roughly equal proportions, anda tiny bit of Cinsault.